How to Learn English: The fear within, the biggest problem most people faces in Learning English is their own fear, learning any new language requires hard work, commitment and willingness.. 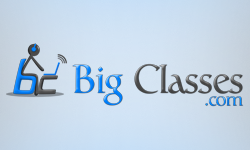 Improving Spoken English – Why choose BigClasses.com? • Voice Enabled Sessions: All online spoken English training sessions are Video Conferenced with audio enabled allowing you to talk naturally back and..